Electronics are getting increasingly specialized, zeroing in on incredibly specific lifestyles in the hopes that there’s still some niche out there that’s still both affluent and unfulfilled, just looking for an excuse to lighten wallets. Kingston has a device that’s aimed at just such a niche; the person who travels a lot but uses their phone or tablet as their primary computing device. If this describes you, then the MobileLite 5-in-1 might just be the device you’re looking for, though it doesn’t work as conveniently as it should. The MobileLite goes by the secondary name 5-in-1 Mobile Companion, because this little box is supposed to do five things. 1) It’s got a battery in it, so it can be used as a charger for phones, and possibly tablets though the manufacturer doesn’t recommend that last one. 2) It takes USB as well as SD and Micro SD cards so it can store up to 2 TB of data, depending on what you’ve got plugged into it. 3) You can wirelessly connect your phone or tablet to the MobileLite to take advantage of that storage, and put your music, movies, pictures or documents on it. 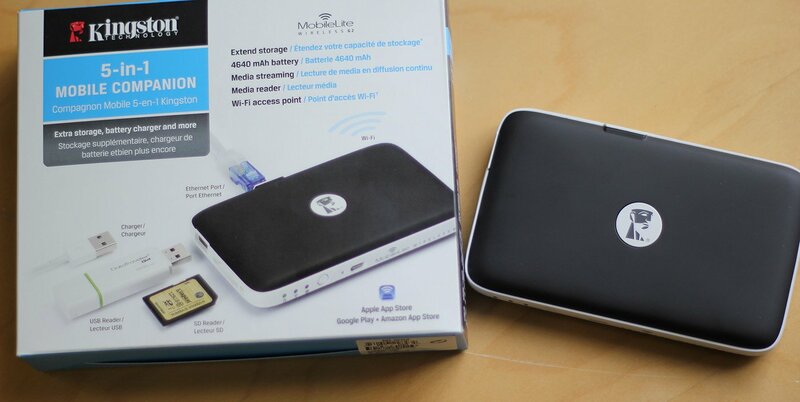 4) Multiple devices can connect to the MobileLite to individually stream those movies and music and 5) If you plug an Ethernet cable into the back, it can double as a WiFi hotspot. Now, the good news about the MobileLite is that all of the functions it promises actually do work. If you find yourself in a hotel or other guest situation where WiFi isn’t available, but there’s a perfectly good wired Internet access port, the MobileLite WILL come to your rescue and provide all your wireless devices with the WiFi hotspot you’re looking for. Cards and USB sticks do indeed plug into the device and, in general, traditional, NON-DRM files will be recognized and read by MobileLite, so if you were planning on using this to store your downloaded Spotify songs because you are a premium account holder, this device won’t recognize them, though traditional formats like JPEG, MOV, MP3, MP4 and WAV are all accepted. Where the problems come in are in the interface department. 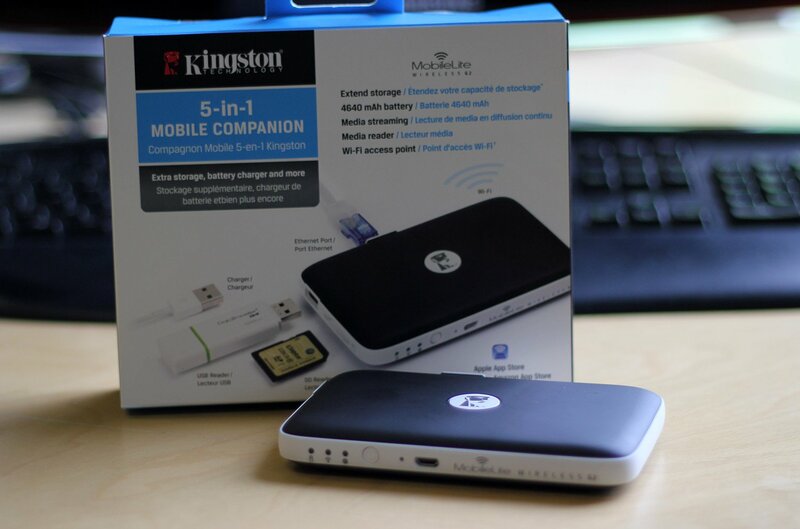 Kingston is traditionally known for memory and storage solutions, not user friendliness, and it shows in the operation of the MobileLite. As to be expected from a device designed to work with phones and tablets, the MobileLIte first requires an app to be downloaded and installed to work with the device. Once that’s done, a very clunky and complex interface meets the user, with multiple steps required to search for, tag and move or copy specific files around from one source to the next. Whereas Apple and Google have made user interfaces simple enough that even a Frat Boy is willing to use a computing device rather than stuff himself into a locker for messing with “nerd stuff,” the Kingston app very much feels like a step back to the Windows 98 era of operating systems. The connection to devices is also uncertain, as even with the MobileLite sitting right beside a tablet, there were occasions when the MobileLite couldn’t find or connect with the device it was paired to. It’s hard to pinpoint exactly who the MobileLite is for. Anyone that is using their phone or tablet as their primary computing device probably isn’t very tech savvy, and yet the MobileLite demands the a more rigid, technical fluency more appropriate to an older desktop operating system. If you travel a lot for work purposes, you probably have and use a laptop, and thus don’t need extra storage or streaming ability. If you travel a lot for fun, why are you bringing all your music and movies with you? Shouldn’t you be taking in the sights of your destination, rather than holing yourself up in your hotel room thinking “Now’s the time for that Game of Thrones marathon”? 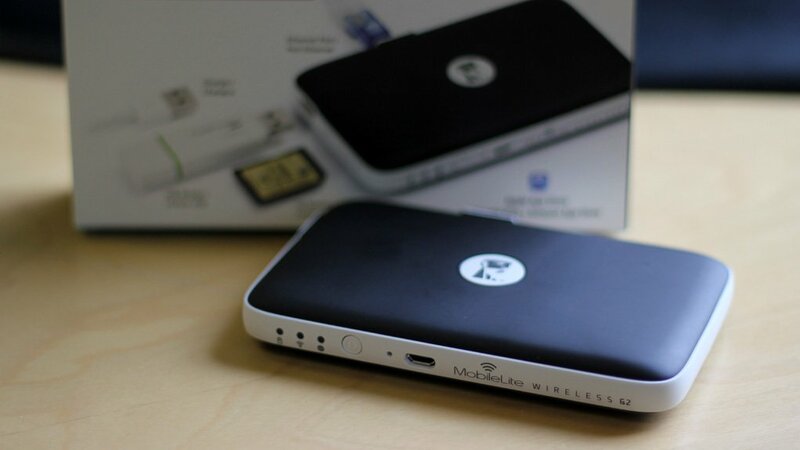 If you’re a cautious traveler and think you need more storage, an emergency battery recharger, or simply a way to ensure you have a WiFi hotspot when only a wired Internet connection is available, then some of the functions of the MobileLite will be useful. At an average price of $60, the device isn’t expensive, but be prepared to struggle with the app and its clumsy operating system until you get used to it.